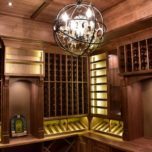 Most people have at least one thing they’d like to change about their home. Regardless of how content you are with your space, it’s human nature to always crave improvement. 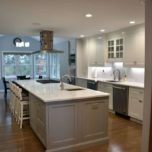 One room which we find people often like to see improvements in is the kitchen. 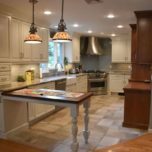 The kitchen can be seen as the heart of the home, and a Nj kitchen remodeling job can bring it to life. 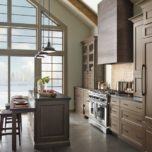 Let’s look at three reasons why you should consider upgrading your kitchen. 1. 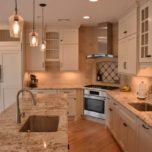 Added home value – While your family will see a great deal of positive aspects of a kitchen remodeling job, so will your home’s value. 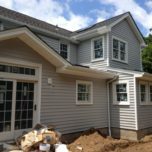 Any improvement to a home increases it’s worth. That’s why investing in home upgrades is such a smart idea. 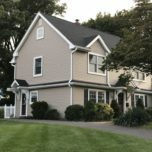 Down the road, if you ever go to sell your home, you can bank on it being worth more than it was previous to the job. 2. People migrate to the kitchen – I’m sure you’ve noticed this. Whether you’re working with a closet-sized space or a grand eat-in kitchen, company will migrate towards that room. Take note at the next gathering you attend and you will see that people love the kitchen. 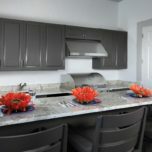 So, why not make capitalize and make it the best kitchen possible! 3. Cooking in a cluttered kitchen is the worst – Have you ever tried to cook meal with family members or friends in a kitchen with a poor layout? If you have, you know that it’s terrible. 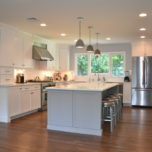 Undergoing a NJ kitchen remodeling can make group cooking a far more enjoyable experience.